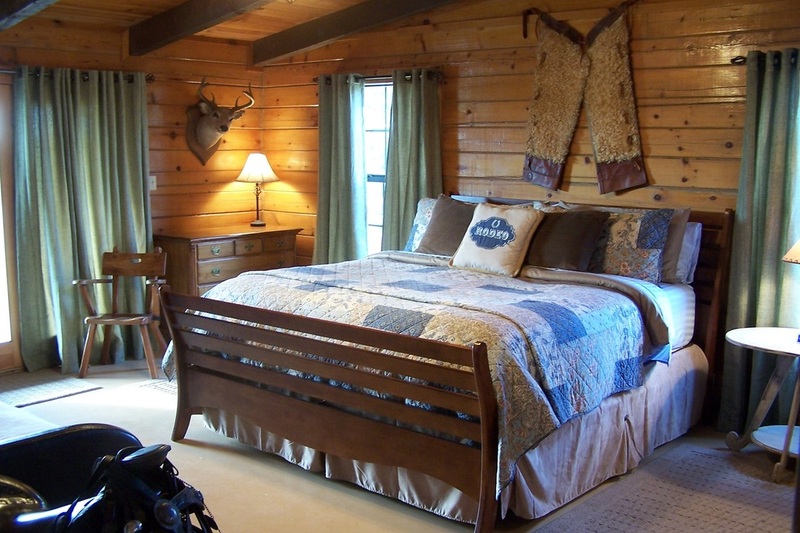 The Bunkhouse Cowboy King Room has one king bed, a twin with trundle and a set of bunk beds and a comfy leather recliner. The King room has one of the best views overlooking the ranch. From here you can see most everything that is going on. Our Cowboy King Room has a separate outside entrance onto the front porch as well as entrance to the main living area of the house. This room includes Dish TV & free WiFi. 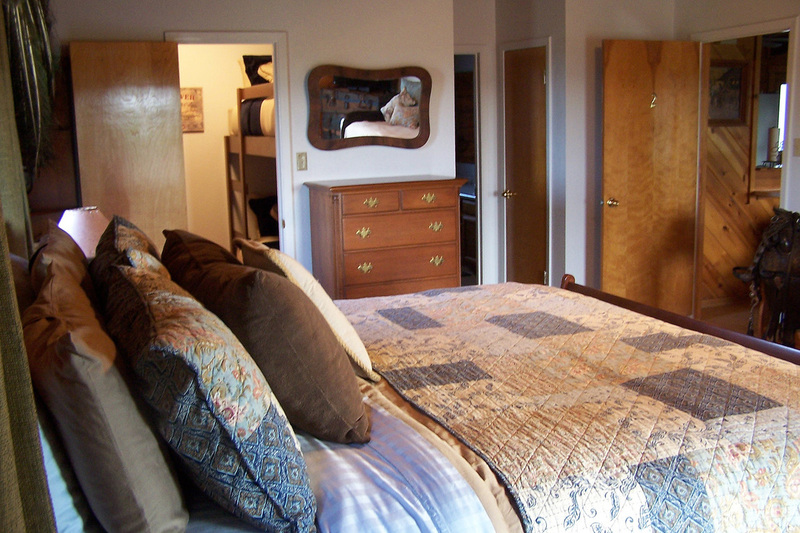 The Cowboy King room is large enough for everyone to spread out with plenty of elbow room! 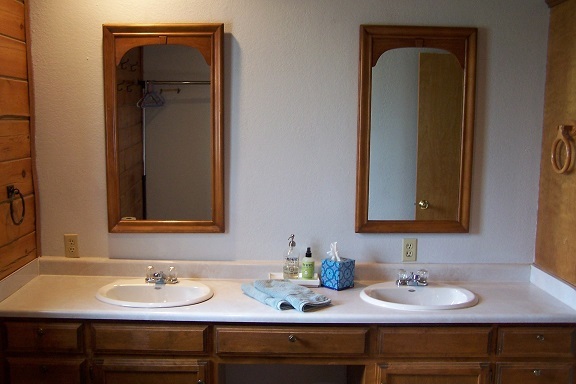 The bathroom includes double sinks and a full walk in shower. 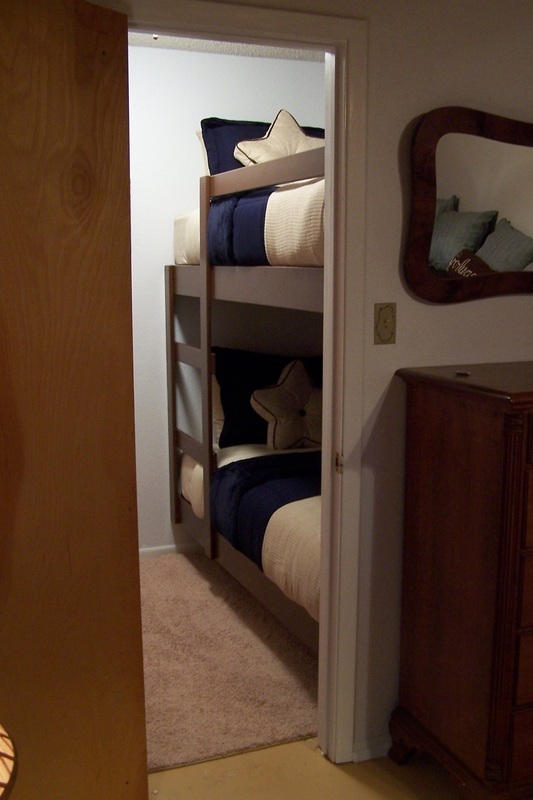 ​Call the ranch office at 254.559.2448 to book the Bunkhouse over the phone.